Build Africa’s #MumsReadKidsSucceed appeal raised an astonishing £464,618 to support young mums and their families in rural Uganda. The appeal, which ran from 27 September to 27 December 2017, was backed by UK Aid Match from the Department for International Development – meaning donations would be matched “pound-for-pound” by the UK Government. Of the £464,618 we received in donations, £420,987 is eligible for matched funding. This means we can now reveal the incredible total of £885,605, all thanks to generous donations from our supporters. People just like you. 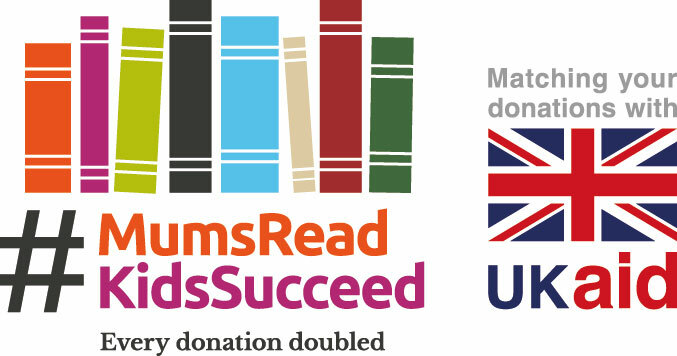 The #MumsReadKidsSucceed appeal was launched to teach reading and writing skills to young women in rural Uganda – where a low female literacy rate is having a devastating effect on child welfare and infant mortality. The impact of this appeal can be seen with one powerful statistic: If a mother can read, her child is 50% more likely to live past five years old. This is an area where poverty, child marriage and early pregnancy have cut short the education of many girls, leaving them without the vital literacy and numeracy skills that everyday life depends on. Shockingly, almost half of women in rural Uganda are unable to read. The funds raised will support our vital education work, including a project working with over 2,000 young mums to help them learn these crucial skills, as well as access valuable health and nutrition services – so they can help their children not just survive, but succeed. The project will be starting in the Oyam and Kiryandongo Districts in Uganda later this year.